Before the creation of West Ham of a borough in 1886, the county paupers within the West Ham area were sent to the Essex County Asylum in Brentford. One West Ham had become a borough it was immediately decide by the council to construct their own Asylum as they did not feel that the County Asylum should be used. Although this would take them twelve years to do so. The council sought the purchase of the land at Blue House Farm on the outskirts of Ilford for £8,835 and immediately put into the motion the planning of their Asylum. To do this, they visited a number of Asylums around the country, both local and far afield, so that they would be able to provide the best possible facilities in their asylum. Lewis Angell, the Borough Architect, was selected for the design of the Asylum for the council – this was to be his only Asylum. The Asylum was designed on a Compact Arrow layout with a south facing aspect and were constructed from red brick with white lintels on the windows – at the time the layout was described as the pavilion system. The foundation stone was laid by Alderman William Ivey on the 3rd of August, 1898 and the construction taking three years to complete, with the first patients being admitted on the 6th of August 1901. During the construction of the Asylum, the contractors, Leslie and Co, built a railway to the site in order to transport the construction materials to the grounds, with the line being brought down from the Great Eastern Railway. The asylum was designed to house 800 within 17 wards, 8 male wards housing 350 patients and 9 female wards holding 450 patients. 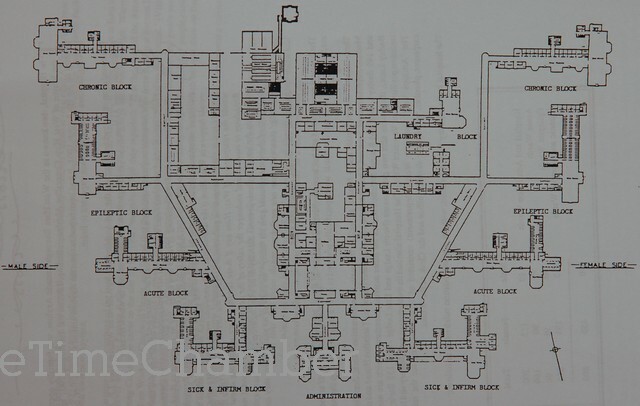 The site also contained an administration block, main hall, central services and workshops and a typical water tower. The total cost of the design and construction was £338,633. The Asylum chapel opened in 1902 and was built in the same style as the main buildings and was able to seat 600. Like the majority of the County Asylums, Goodmayes underwent a series of expansions. This started in 1907 with the addition of extra accommodation for staff. In 1925 the Hargreaves & Brown Farms were purchased to build 7 villas – 4 male & 3 Female, 4 new wards and a number of new accommodation buildings. At this time, the hospital also saw improvements to the Laundry, telephone system and heating & electrical wiring for the whole hospital. These upgrades saw the patient population to 1300 and cost the council a further £229,000. 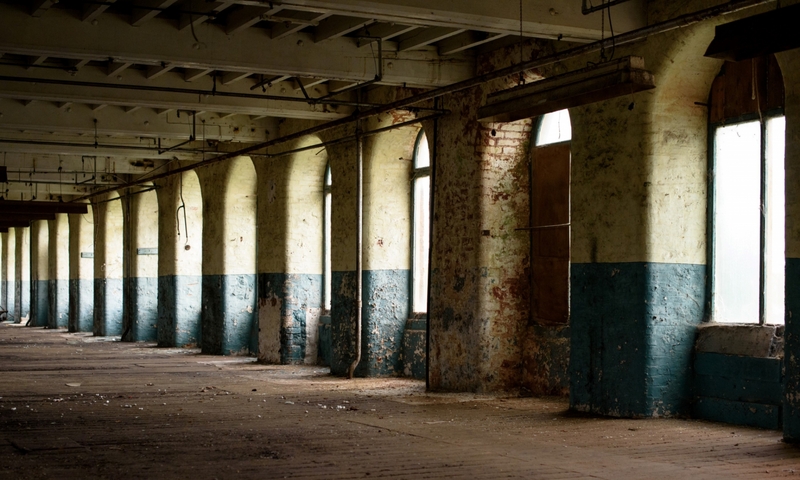 The hospital also saw the opening of an industrial therapy unit in the 50’s, at the same time the wards around the hospital were unlocked and opened up, with only two wards remaining locked – there are currently no locked wards within the hospital. 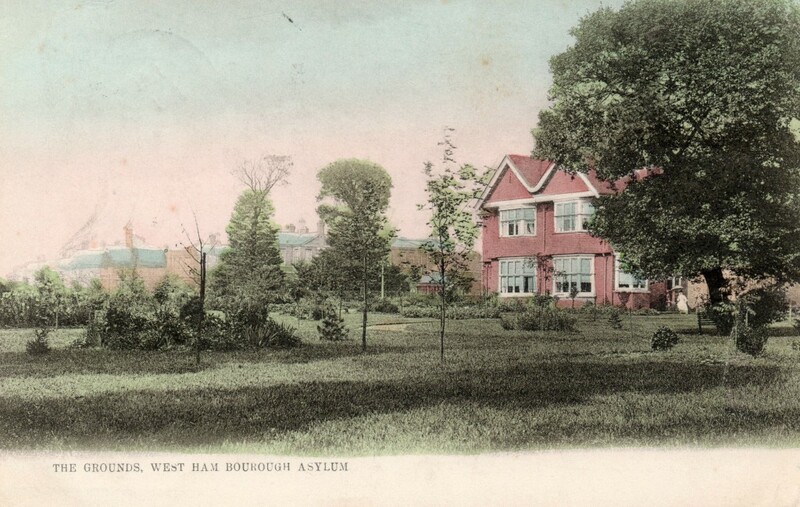 The Asylum changed its name to West Ham Mental Hospital in 1918, 12 years before the 1930 Mental Health act dictated that the Asylum title be dropped. During WWII Goodmayes Hospital was in the direct line of the German Bombers heading over London and it was recorded that the estate was hit by a number of devices – 700 incendiary bombs, 22 high explosive bombs, 4 oil bombs, 1 parachute bomb, 2 V1’s and 3V2’s. The most extensive damage during the bombing occurred to Acacia when it was partly demolished by a bomb. WWII also saw four wards being converted in an Emergency Base Hospital and records show that 8,000 patients were treated within. During the 1990’s, the north of the site underwent a major regeneration – the villa blocks, mortuary and occupational health unit were demolished so that the District General Hospital could be built. 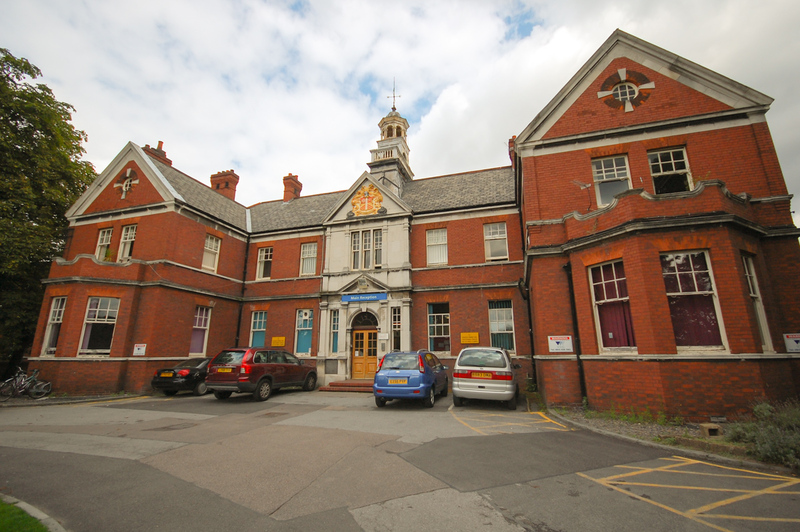 The Goodmayes is still open as a mental health facility and serves the east of London and is currently undergoing a series of development to the south of the site to offer new, advanced facilities. The main building, constructed in 1901, is set to be developed into homes, although the plan is not set in stone yet and the future remains uncertain with wards and facilities slowly closing and remaining empty – the main hall as sat disused for decades.